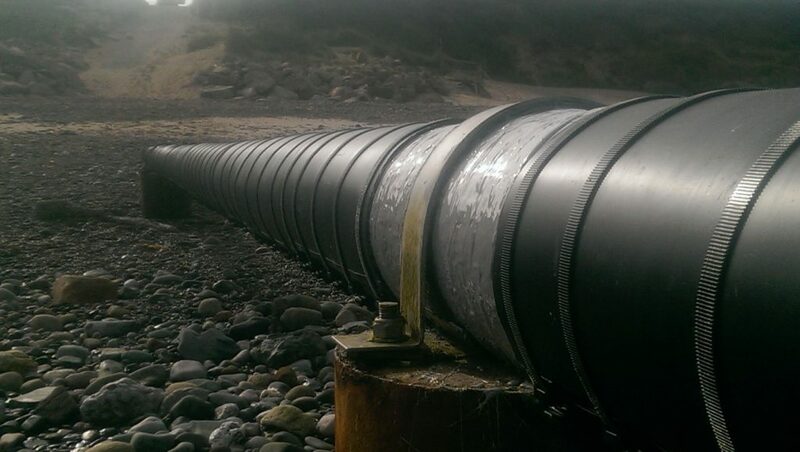 Advanced Barrier Coatings supplied Versapox GR for the corrosion protection of sea outfall pipes where the original external coating was deteriorating prematurely. The existing pipeline coating system was undergoing gradual erosion due to an aggressive environment of wind and water borne sand/gravel particles. Where the pipes were supported on concrete plinths, Versapox GR was used to protect against corrosive elements. As Versapox GR is a surface tolerant epoxy and can be applied in damp conditions, this made an excellent maintenance coating.